Amid the casinos and the shows, the bars and the pools, Las Vegas now welcomes to the Strip a medical marijuana dispensary. Sandwiched between the SLS Las Vegas and Stratosphere hotel-casino resorts, the Essence Cannabis Dispensary, which opens Wednesday, is the first such facility on Las Vegas Boulevard. Medical marijuana has been legal in Nevada since 2000, but legal wrangling meant Sin City’s first dispensary didn’t open until last August. 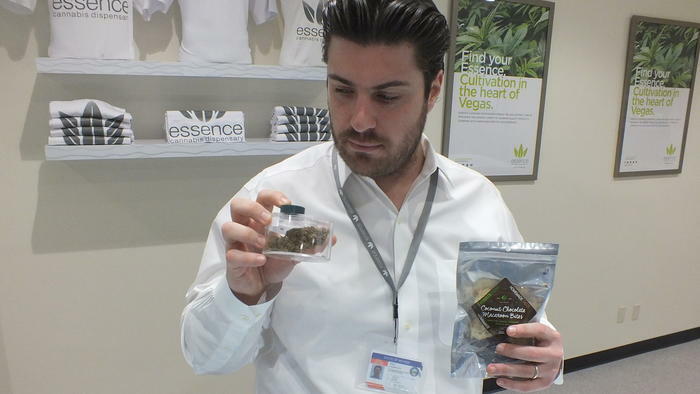 Since then medical marijuana stores have begun popping up around Southern Nevada.